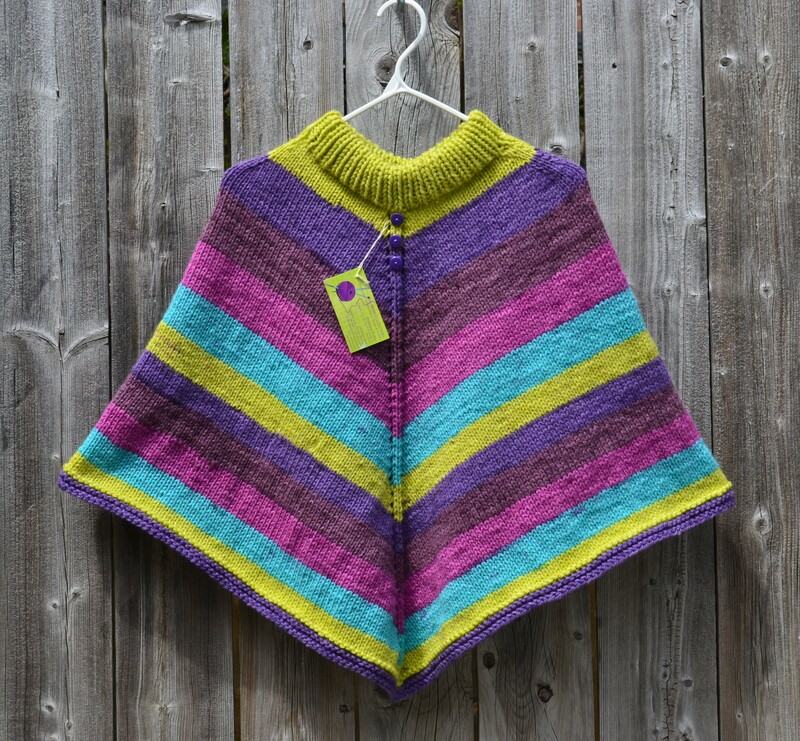 Poncho – size 8-10 years. 100% Acrylic, machine washable and dryable. 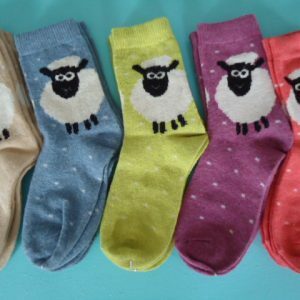 Check out the Bernat Pop yarn for colour options when placing your order. Please allow 2 weeks for custom colour orders. 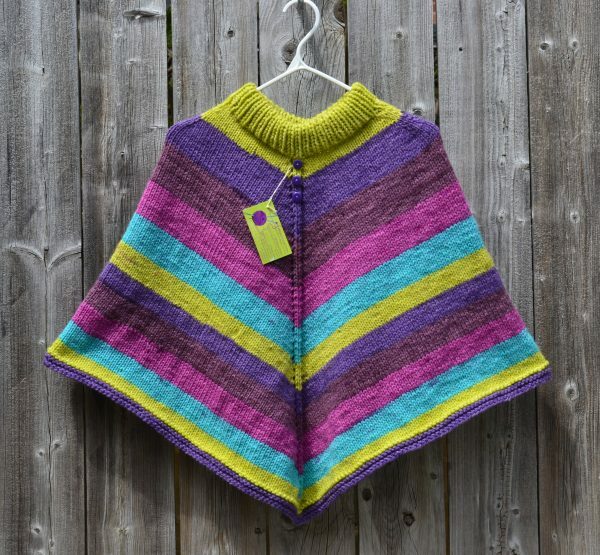 These ponchos are all handknit, no two are the same. Colour shown in photo is Paisley Pop.